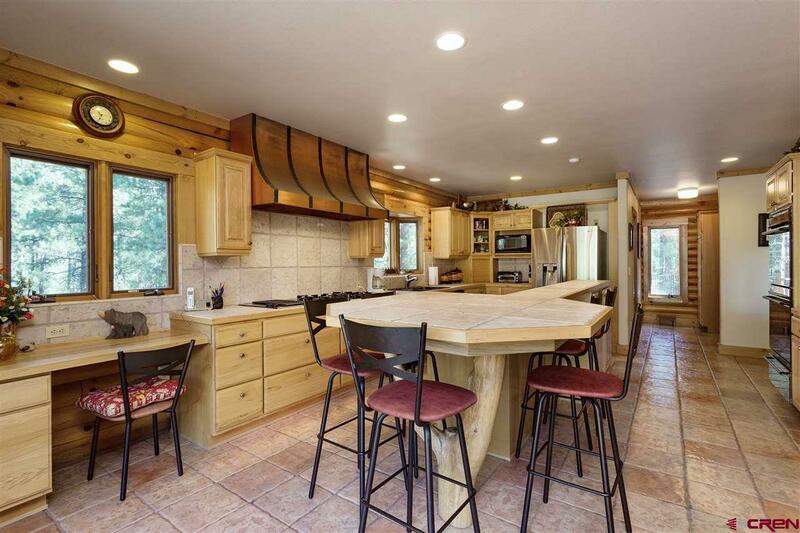 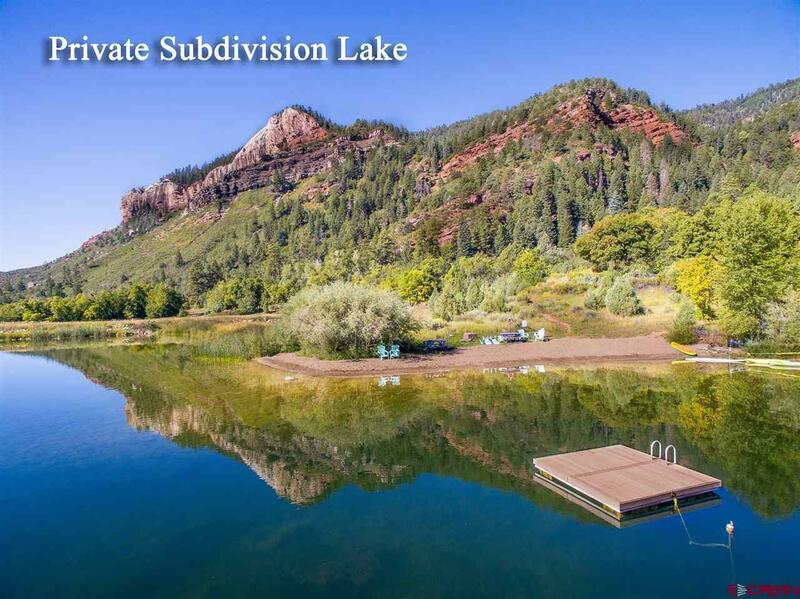 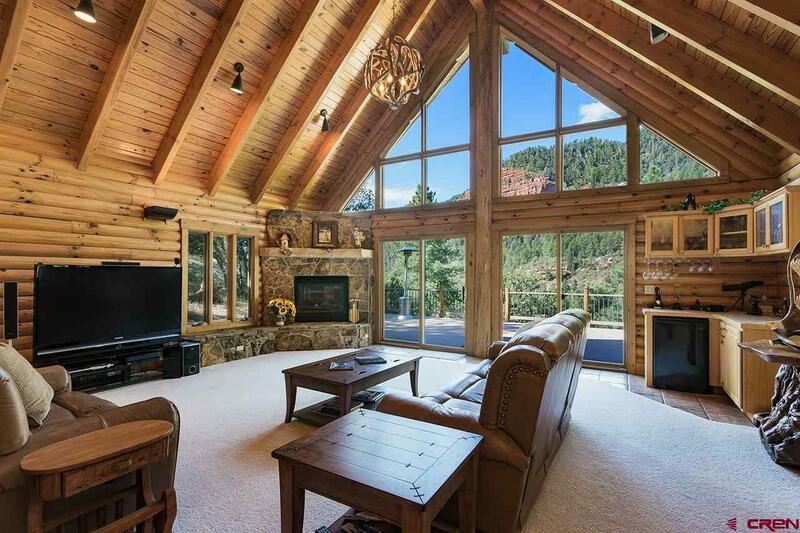 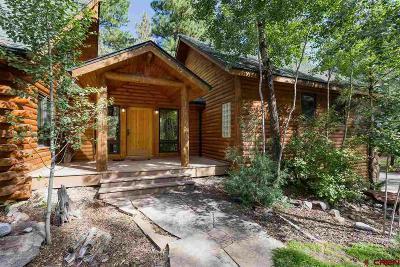 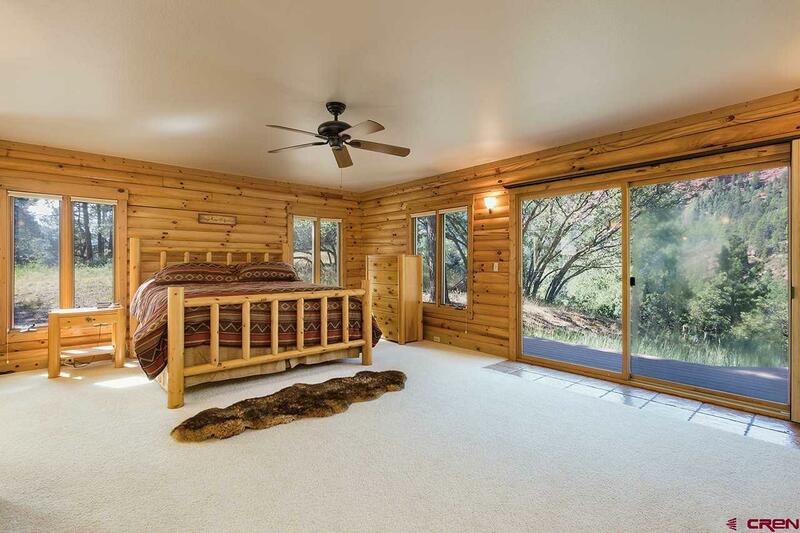 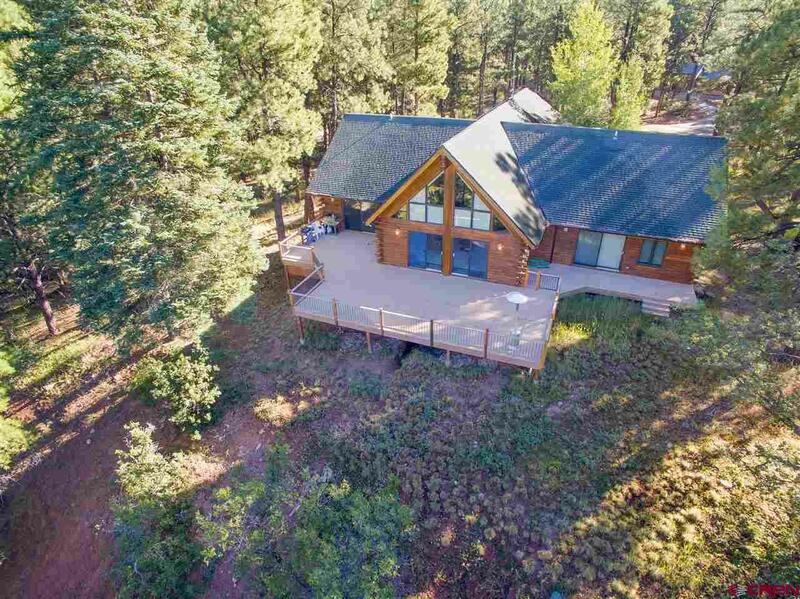 Imagine your mountain dream home just 15 minutes from downtown Durango located in Falls Creek Ranch, a community offering vast open space, forests, and meadows, with your own private lake, all surrounded by the San Juan National Forest. 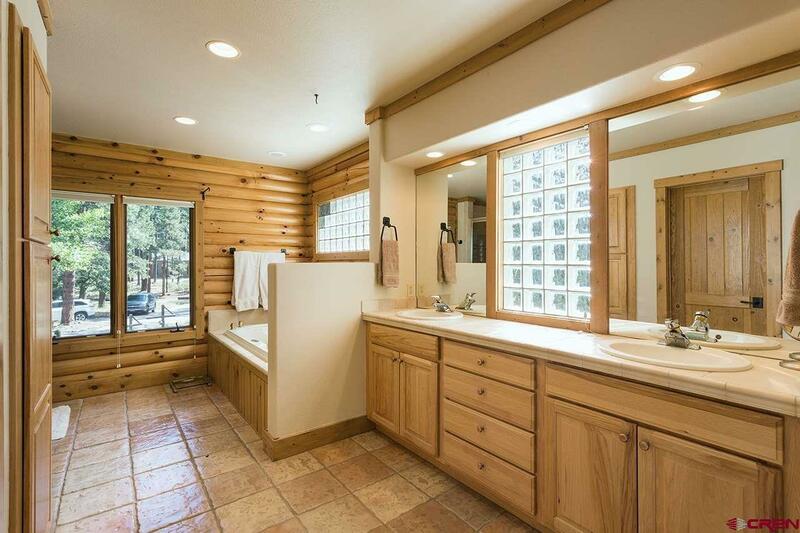 Falls Creek offers privacy and spectacular views in every direction! 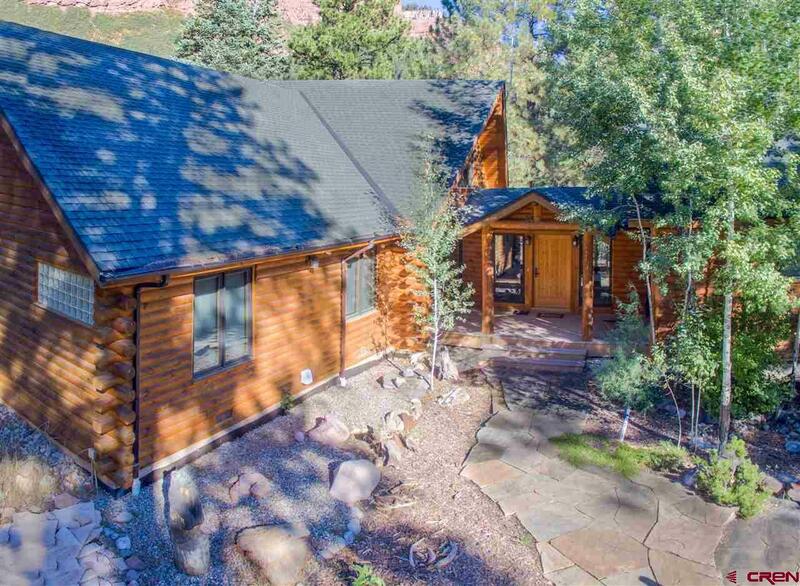 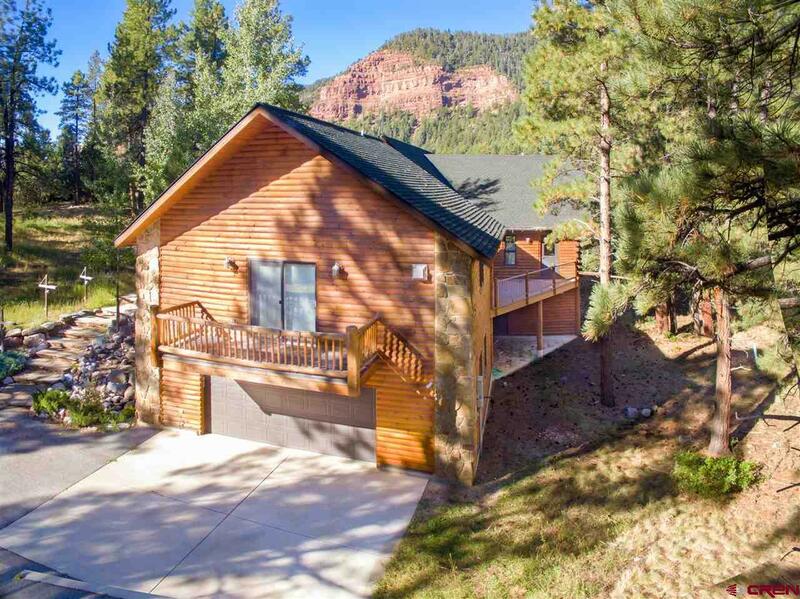 This 6, 229-square foot estate features a majestic log home with in-floor heat throughout, 4-bedrooms, 5.5 baths, an attached 2-car garage, plus an office, media/movie room, wine cellar, loft, spacious lower level great room, and a large outside deck with beautiful views of the ridges and red cliffs to the west. 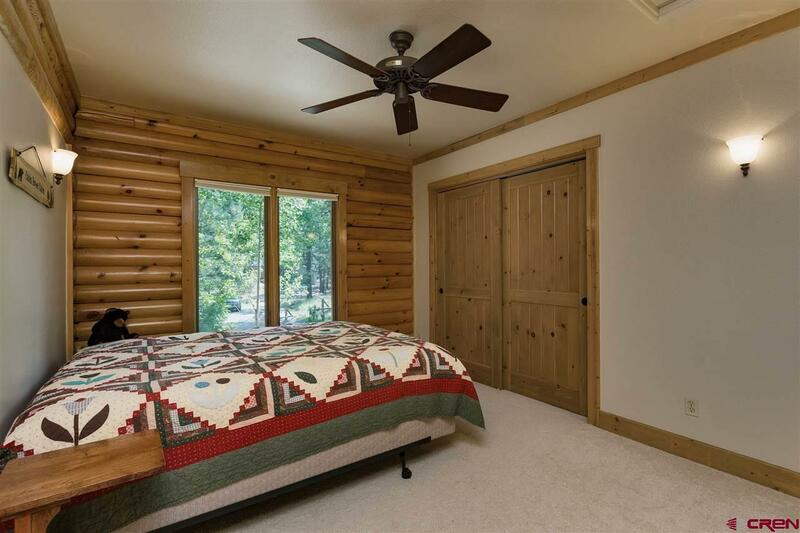 There is also an attached guest suite/mother in-law quarters with a kitchenette, gas stove, and a full bath. 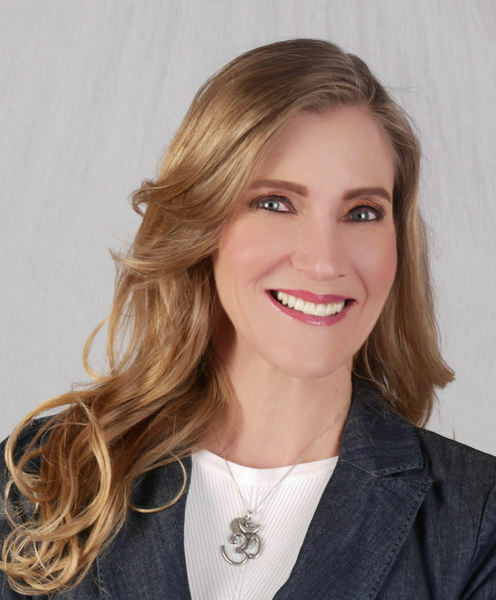 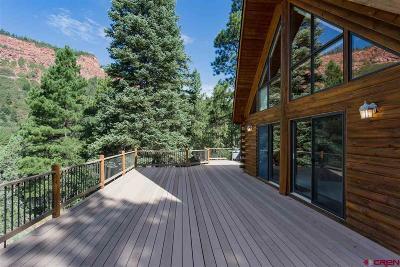 The current owner made several significant improvements to this residence, including paved circular driveway, all new TREX decking, added an additional bedroom suite on the lower level, a theater room on the lower level, and installed powered window shades in main room. 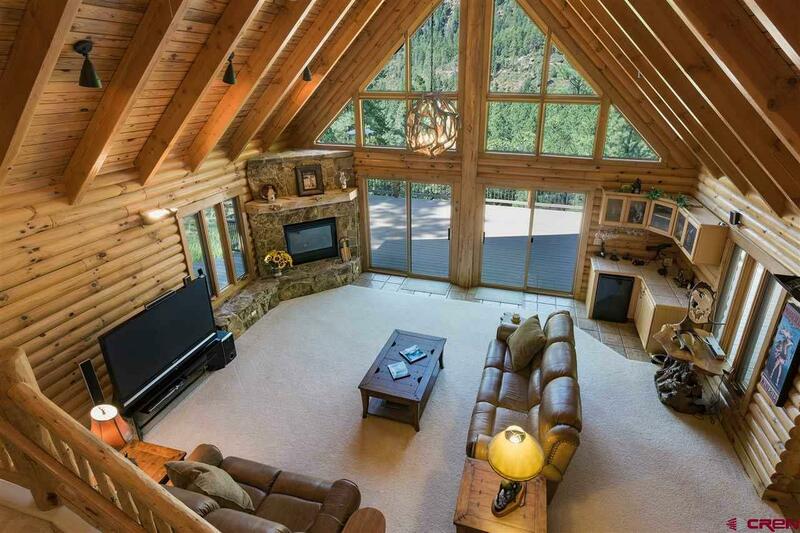 Welcome to your home in the mountains! 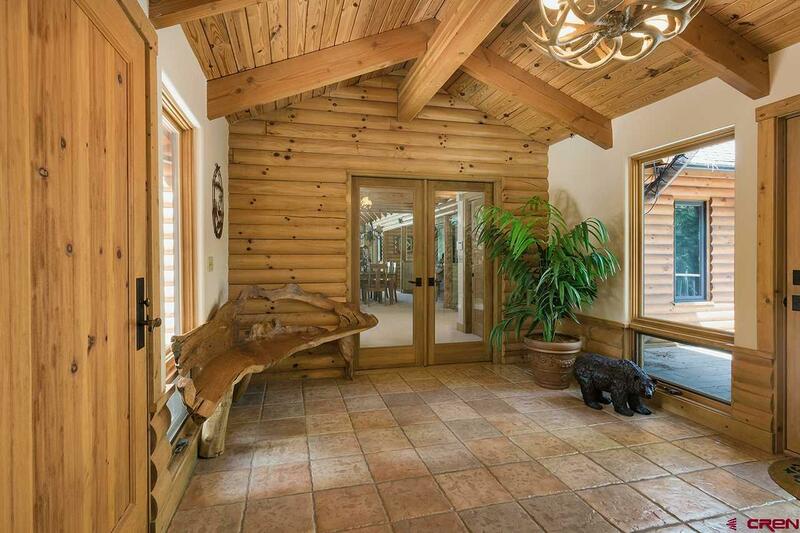 Flagstone stairs lead you through the front door and into a large, bright entry area offering wood framed doors and sturdy beams with tile flooring. 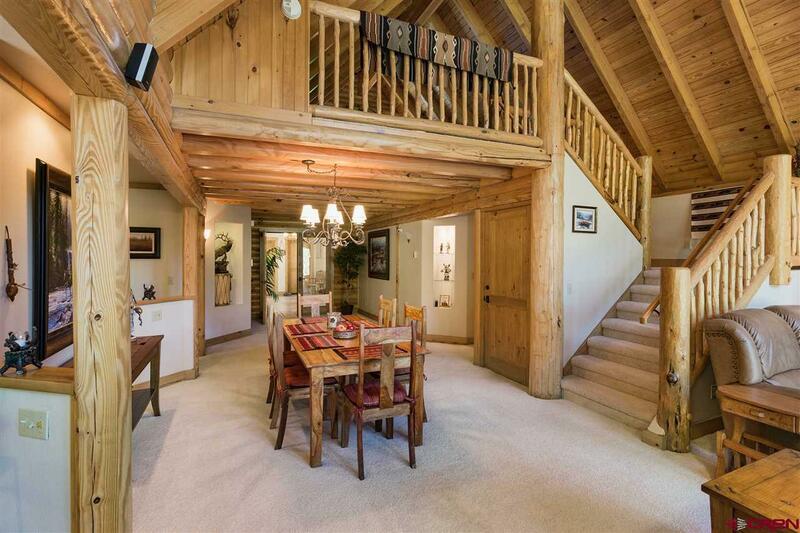 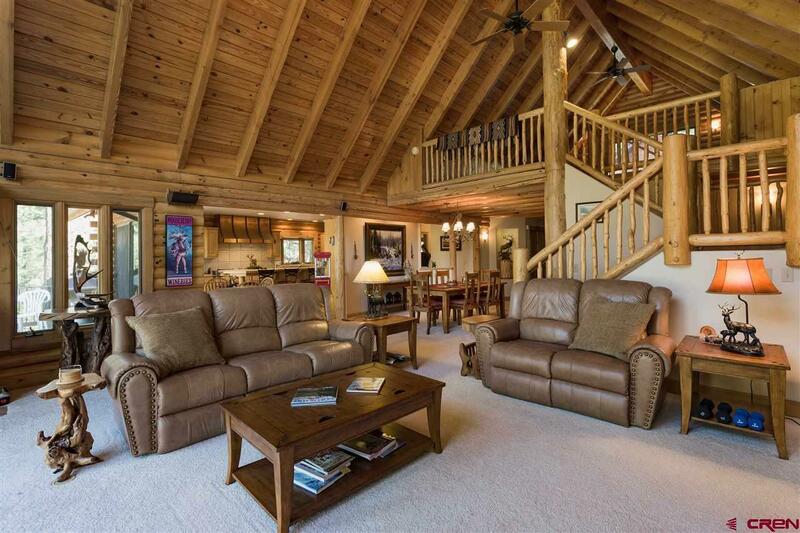 This leads you into the living room and dining area built using expansive vaulted ceilings, warm wooden beams, and impressive log features. 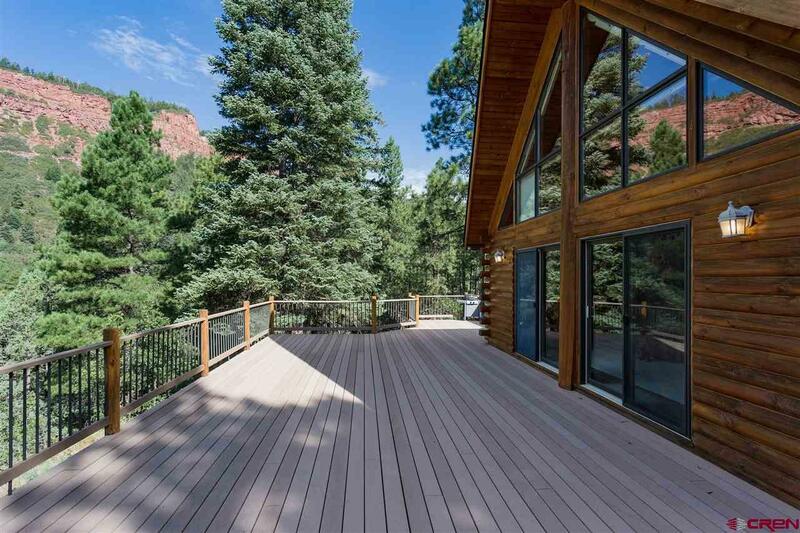 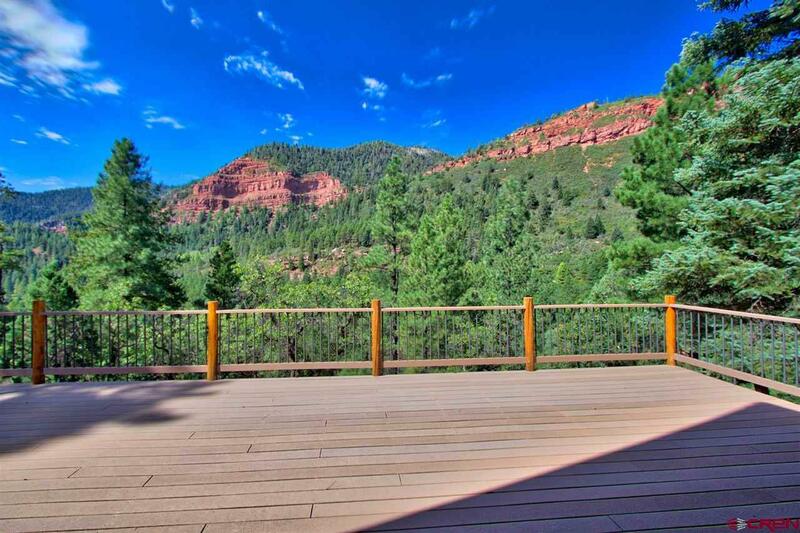 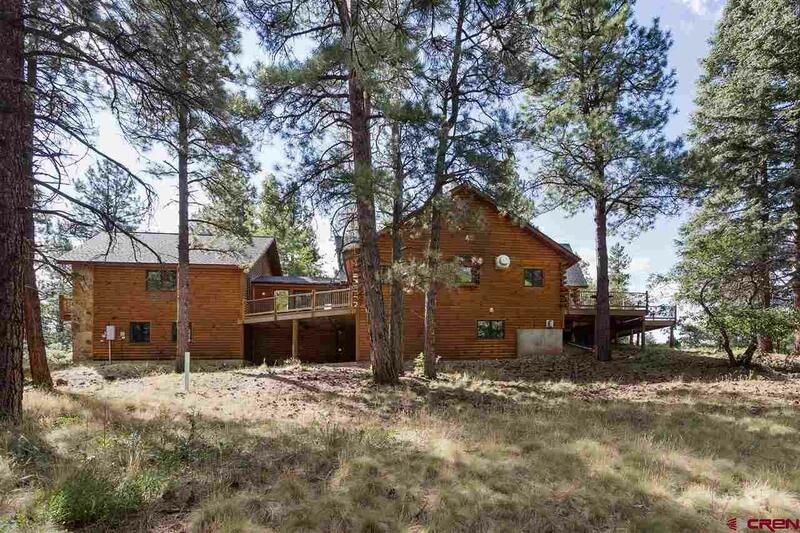 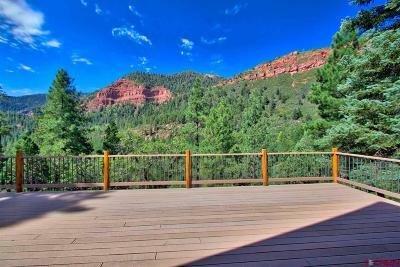 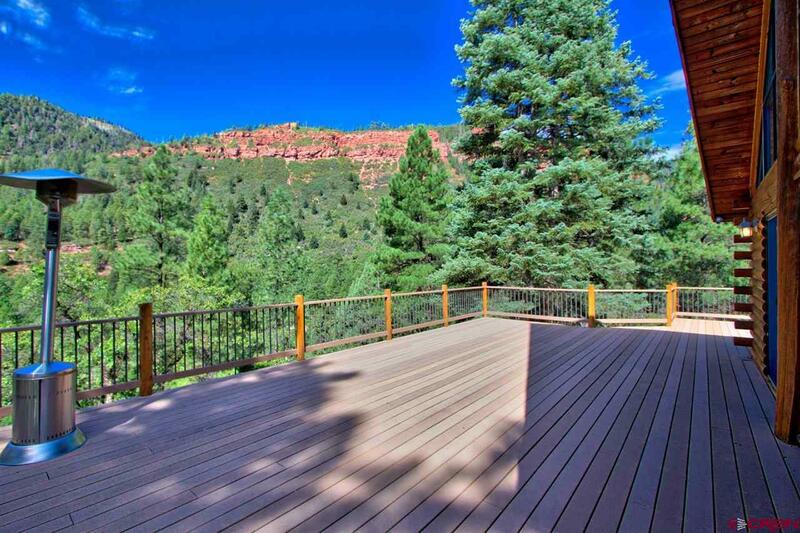 Oversized windows look out over the grounds surrounded by mature pine trees, blue skies, and red rock vistas. The stone fireplace sits perfectly in the corner of the space creating warmth without obstructing the views. 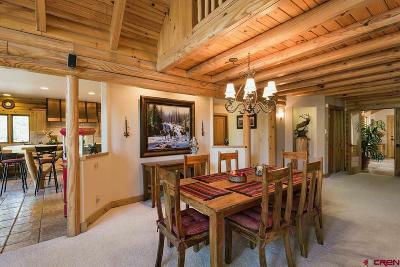 The living and dining areas are accented with lighted wall in-sets to showcase your artwork and pottery. 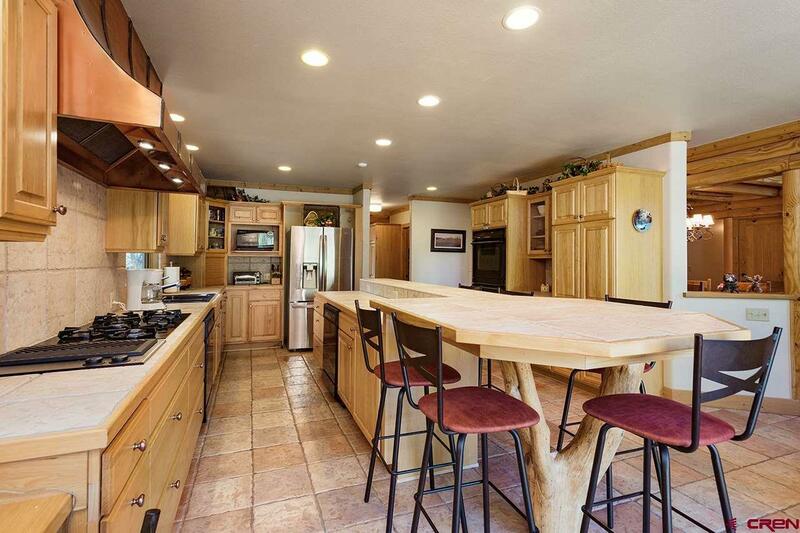 Additionally, the space is equipped with a bar and a mini refrigerator. 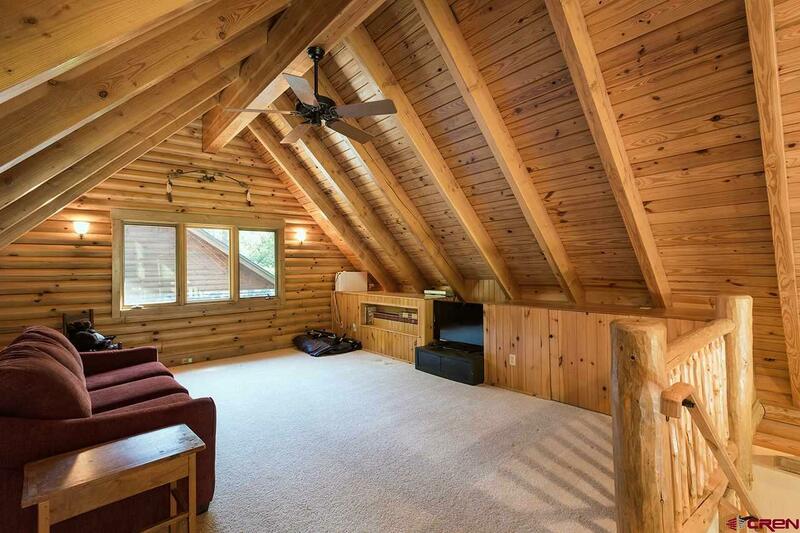 The upper level is accessed by a stairway with log handrails, taking you into a charming loft, perfect for guests or it can be used as an extra TV and family room. 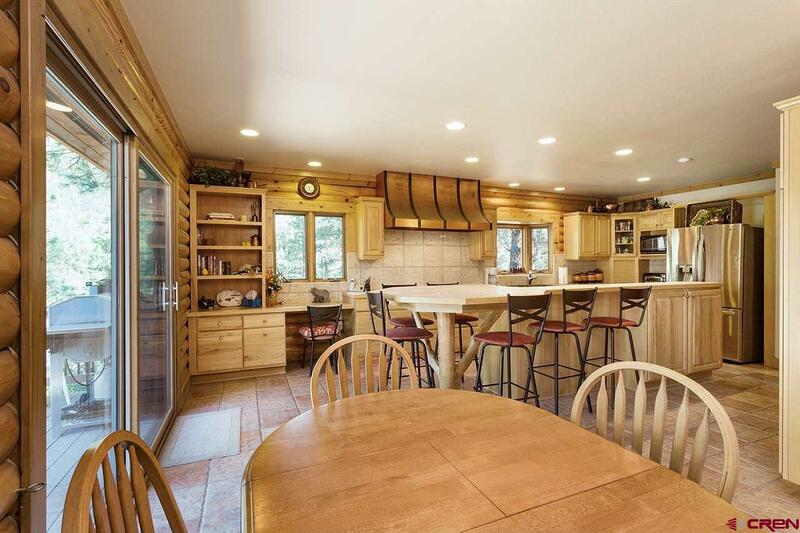 The spacious kitchen has custom cabinets with plenty of counter space, updated appliances including two dishwashers, a kitchen island, and a rustic custom copper hood above the stove. 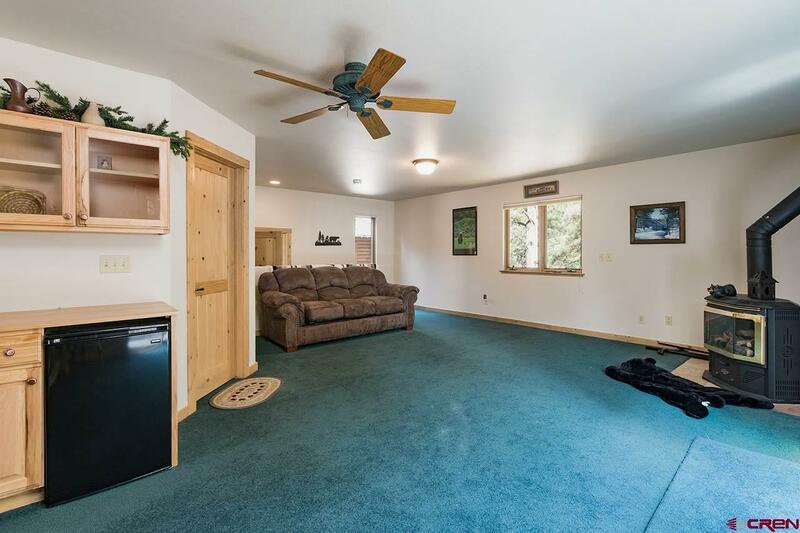 There is also a large laundry room with ample storage just behind the kitchen! 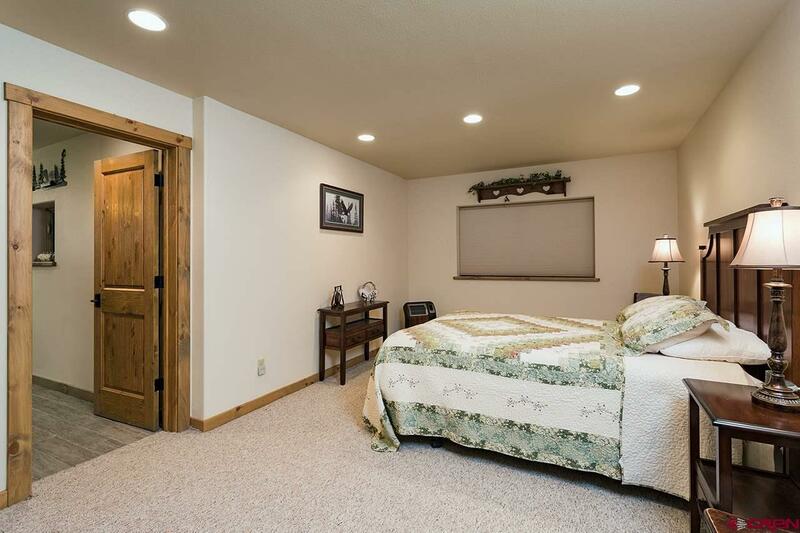 On this main level is the private master bedroom, which is very spacious and bright, with access to the outside deck. 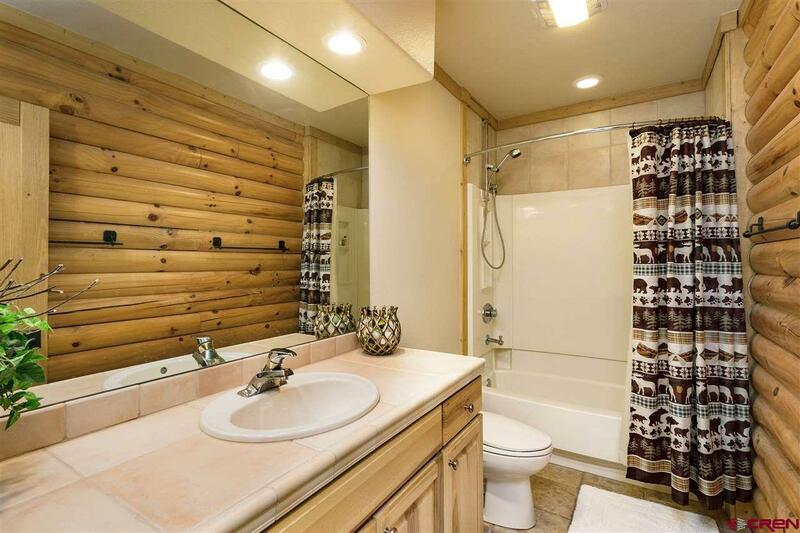 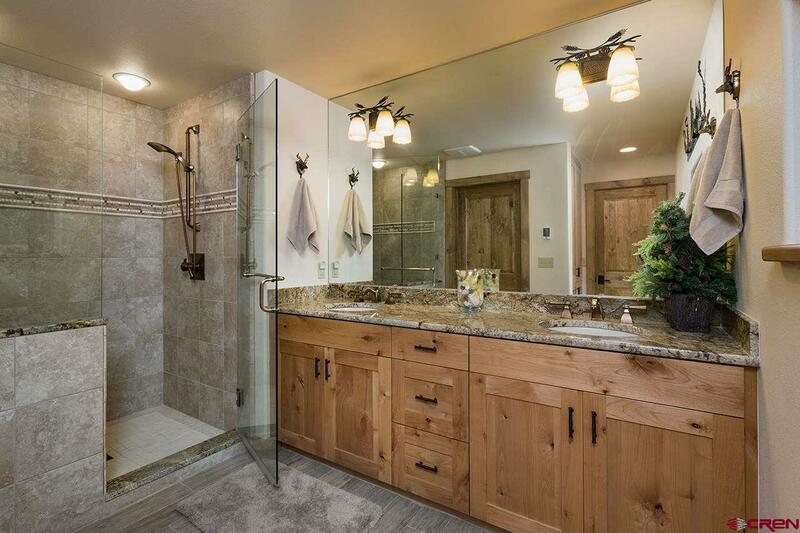 The master bath offers gorgeous finishings, a jetted tub, shower, privacy glass, and walk-in closets. 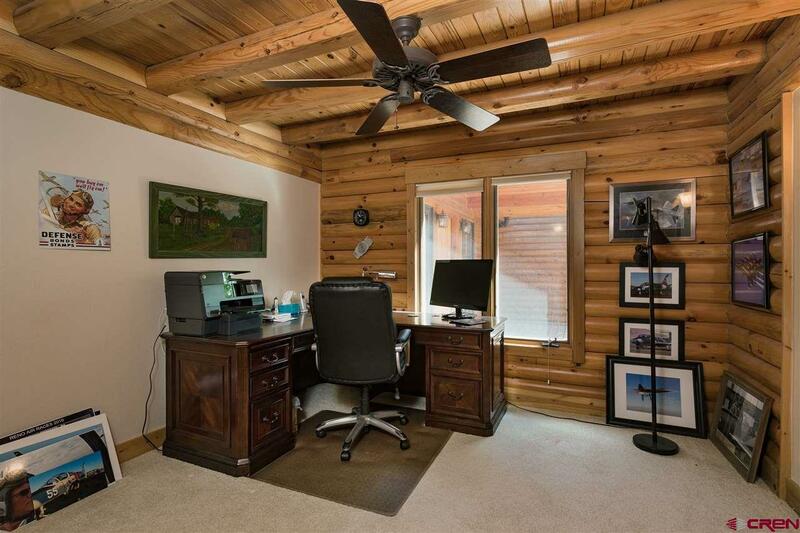 Additionally, there are 2 bedrooms and an office on the main level. 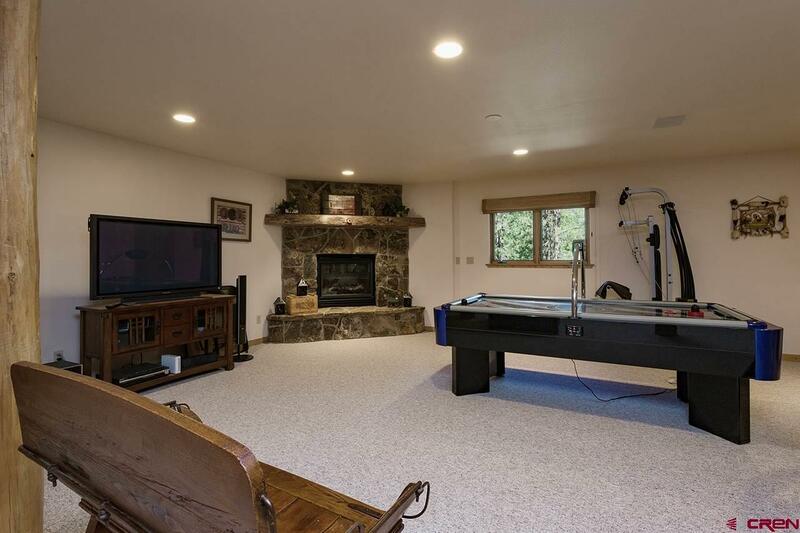 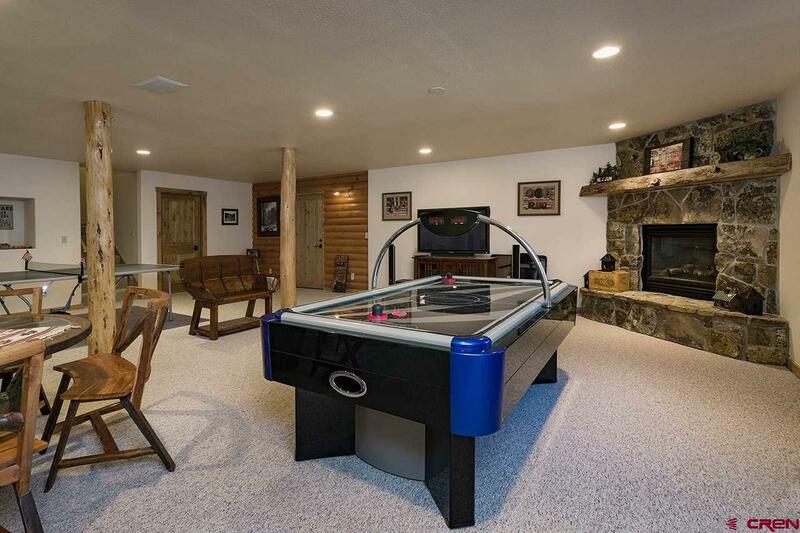 The lower level of the home boasts a large great room with a corner stone fireplace, perfect for watching sporting events, gaming, and basement parties. 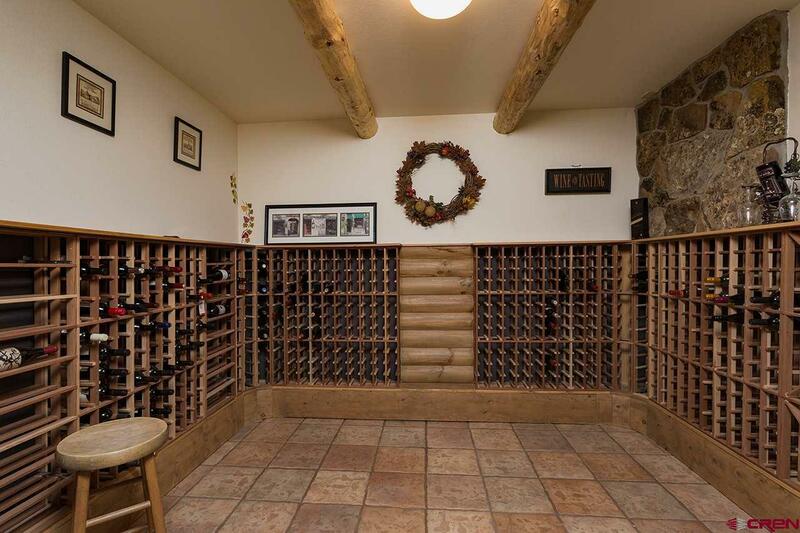 Just a few steps away is the beautifully designed wine cellar! 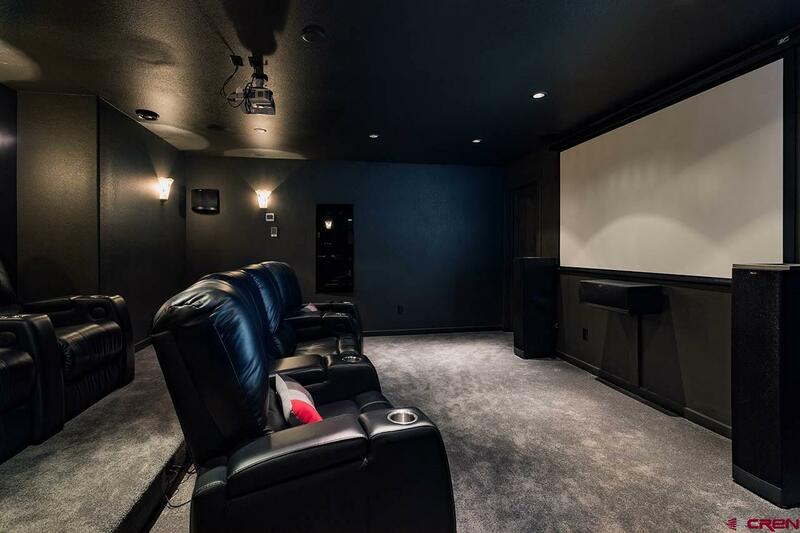 Â The media room is a film and music lover's dream come true!Â The media equipment is excluded from the sale, but can be purchased separately. 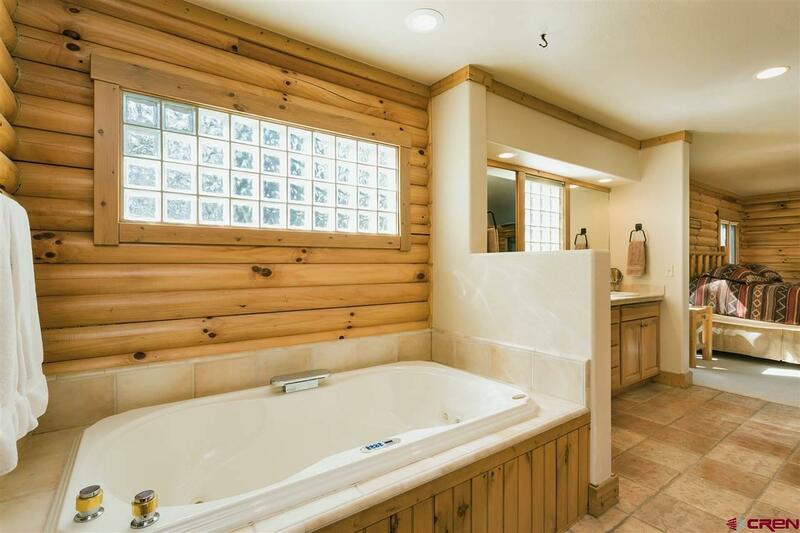 Another recently constructed spacious private suite on the lower level offers a full bathroom with double vanities and a walk-in shower. 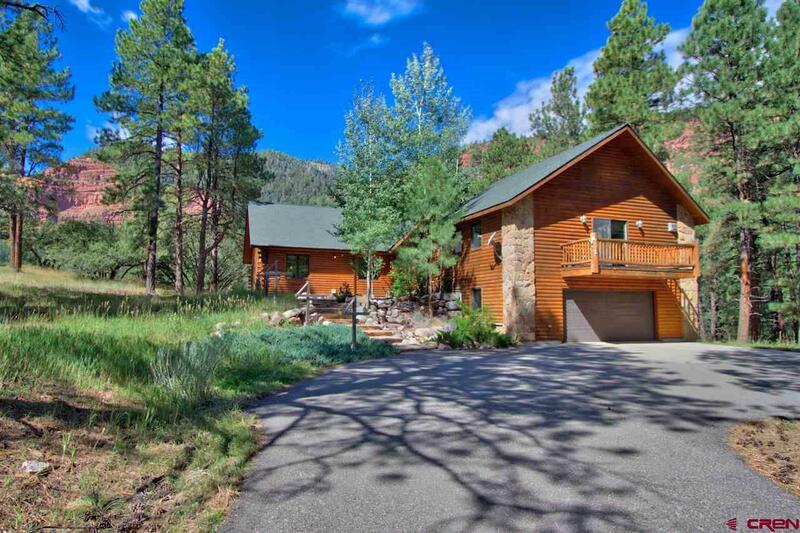 Don&apos;t miss this opportunity to own your Mountain Get-A-Way in Falls Creek Ranch! 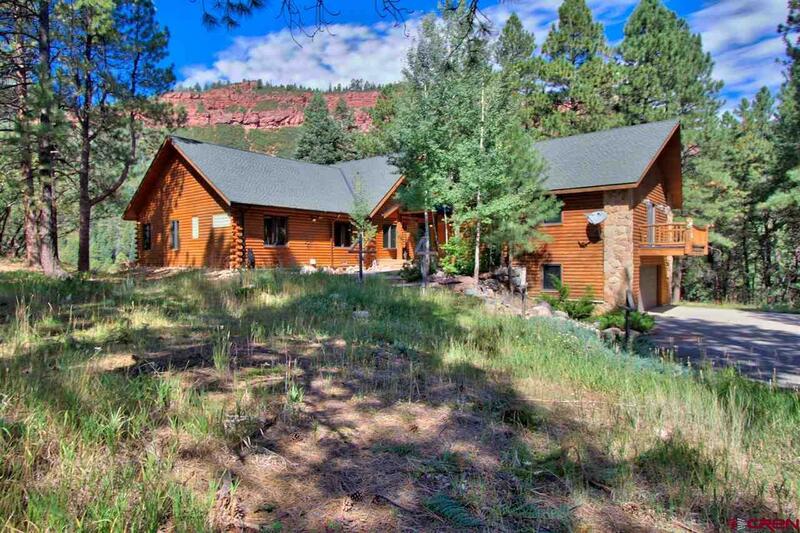 Amenities include 840 acres of common property, private 40-acre lake (for boating, fishing, swimming, and skating) a beautiful tennis court at the base of the red cliffs, horse stable and pastures, numerous trails to explore on FCR land with access to US Forest Service lands with many more miles of trails, bountiful wildlife to watch, and beautiful views in all directions.